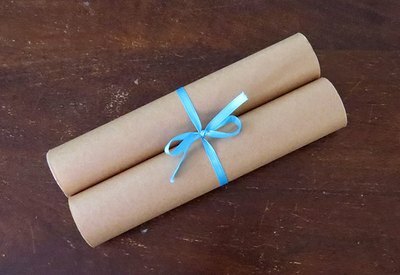 Paper scrolls date back to ancient Egypt. They were used for long documents written in ink. 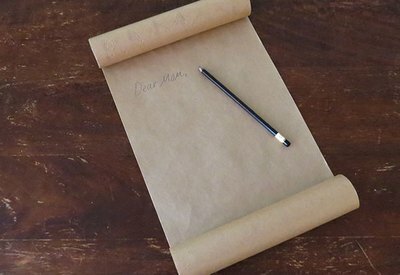 Over the years, scrolls have become outdated for ways of communication. However, they make for a fun and educational craft. Kraft paper rolls come in many different sizes. 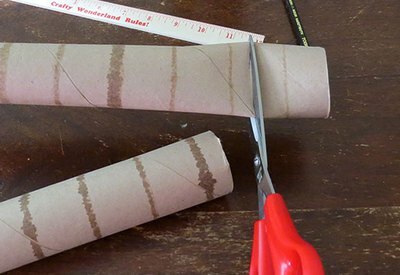 If your paper towel tubes are wider than your paper, you’ll need to trim the tubes down with scissors to the same width. 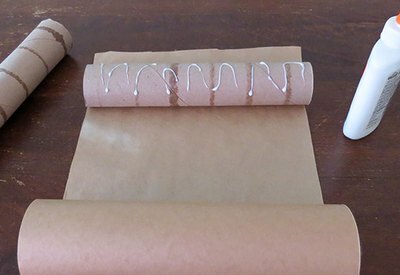 You can also use recycled paper grocery bags instead of kraft paper. 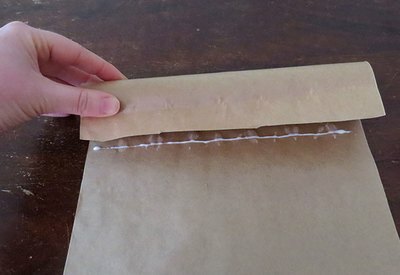 If you are using a bag, cut the paper down the sides to open it up lengthwise. 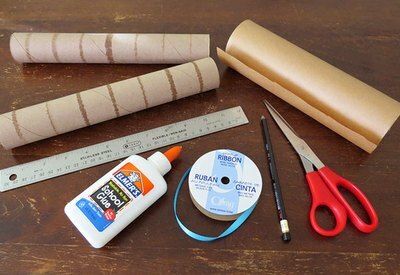 Trim the paper to the width of your tubes. Apply white glue directly to one of the paper towel tubes. Roll the top of the paper over the tube. Make sure it's lined up straight. Apply another line of glue onto the paper. Continue to roll until the paper completely covers the tube. 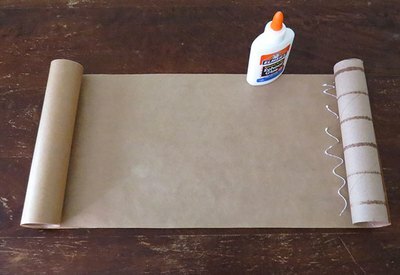 If you’re using a roll of paper, spread the paper out so you have enough for the entire scroll. Trim it off the roll. Now, repeat the gluing process on the opposite side. Once it dries, it can be decorated. Write a note or draw a picture. You can also add color, additional paper or stickers. Add a ribbon for the finishing touch. Roll each side towards the center and tie with a ribbon or string.